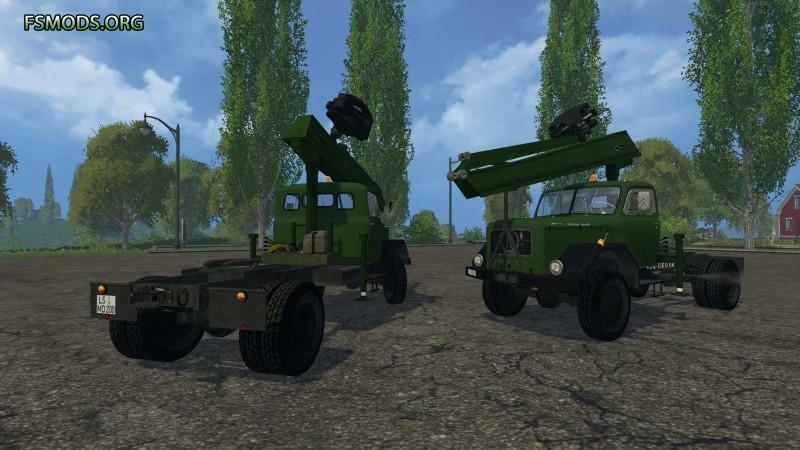 964 Magirus 200D26ASF Semi logging trailer. In 1944 the engineers at KHD (Kloeckner-Humboldt-Deutz) constructed mass producable aircooled Diesel engines, no other german company built such engines. In 1951 Magirus introduced a completely re-designed truck series, the production of the allwheel driven “Eckhauber” (sharp edged bonnet) started in 1953. 200D26AS all wheel drive tractor with forest crane, wheelbase 4200 mm.